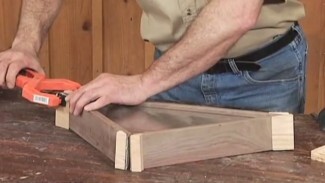 How strong are the glue joints compared to the wood it’s holding together? 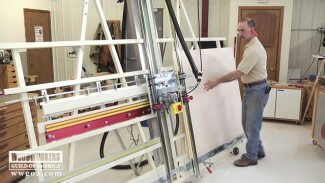 Woodworking expert George Vondriska will explain in this video clip. 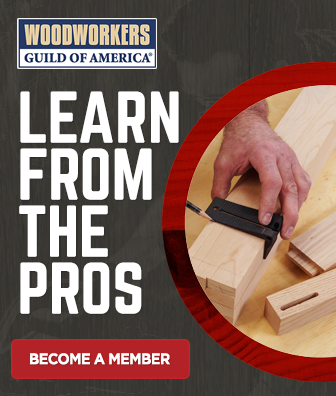 A WoodWorkers Guild of America (WWGOA) original video. 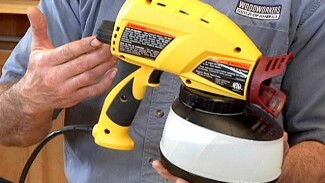 Can’t see why it matters if glue is stronger than wood. Glue joints, which invariably degenerate over time, should never be asked to carry a load/resist a stress that requires that characteristic. Very interesting video! Can you please mention the used kind of wood and the used glue (there are so many brands and types, can you recommend one or two? – Titebond 3. This is my go-to glue for most projects. It has good open time, great bond strength, it is waterproof and FDA approved for food contact if you make cutting boards and other food contact items. – Titebond original. This is a very fast setting glue that I use sometimes if I’m gluing up a non-complicated joint where long open time is not important, and when I don’t need moisture resistance. But you don’t show the black marker line to show how close the fracture was. Makes me wonder. Glue coverage, and clamping time as well as cure time are the key factor to failed joints. Yes you can take something out of the clamps a few hours after its glued up, but the joint is not cured. You can’t put stress on it. I’ve always liked to leave items in the clamps overnight. Nails and screws are just to hold and item until the glue drys. After that you can remove them.